Many older buildings are often repurposed and turned into businesses that attract new people into the area. Some of these are historic buildings and in order to be redeveloped, there needs to be approval from the city council or other local agencies. 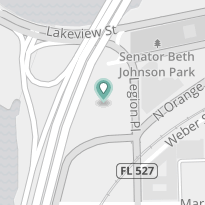 Commercial and retail leasing is alive and well in large cities all over the country, including Orlando. An old building in downtown Orlando will be restored soon and turned into a retail center. The One South Orange Building is owned by Launch That LLC, a marketing agency. The building, which was built in the 1900s, has been approved by the Orlando City Council for redesign. The redesign will include various retailers and restaurants occupying 7,000 square feet of space on the ground floor alone. The building will also feature updates such as outdoor lighting and signage, a glass wall system and an updated canopy. The historic building’s brick exterior will remain. In order to implement this redesign, some changes had to happen. For example, the popular Ono Nightclub was forced to shut down in January. The club has been a popular party spot over the past six years. The tenants are expected to move in next year. 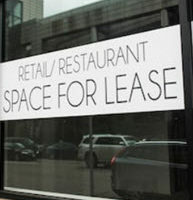 Most of the tenants will be in the food and beverage industry. One tenant, Taco Bell Cantina, has been announced so far. The restaurant will be much different from the company’s traditional fast food locations and will feature appetizers, a bar and an open kitchen. JLL will be in charge of leasing. The landscape of retail is constantly changing. With online retailers such as Amazon taking away revenues from brick and mortar stores, commercial retailers must always stay one step ahead. They are trying a variety of tactics to attract lessees and customers alike. Developers have to predict future trends. One current trend is combining retail space with office space and residences. Developers are also creating malls with uncommon tenants such as gyms, movie theaters and even grocery stores. These tenants are helping bring more customers to the area. They help broaden the traditional shopping experience. Online shopping is huge for pretty much all products except for groceries. Small, urban grocery stores are on the rise, as they can easily be included in malls. At just 25,000 square feet, they are much smaller than traditional supermarkets and often draw large crowds. Having these new tenants move in will require leases, which can be complicated for all involved. Whether you are the lessor or lessee, you need to make sure the agreement meets your needs before signing off. Leases are different from other contracts. Get the help you need from Orlando commercial & retail lease lawyer B.F. Godfrey from Godfrey Legal. He understands the laws involved and will help you avoid mistakes that can affect business operations and revenues. To schedule a consultation, fill out the online form or call (407) 890-0023.